It IS possible to find joy in what you do for a living. Here’s how. You may be one of those lucky people who has a job that brings tremendous joy in your life. Most likely you’re one of many struggling to find joy in your work. While you may be temporarily stuck in what feels like a dead-end situation, that doesn’t mean you can’t use your own uniqueness to add some joy to the daily grind. By finding ways to put your own thumbprint on your work with your unique quirks and skills, you can not only make your work joyful for yourself, but also for others. My favorite example of this is the story I recently heard of a school janitor in New Hampshire. One of his duties is to vacuum the carpet in the classrooms. Everyone is familiar with how a vacuum leaves lines and tracks in carpet. Well, this janitor uses his artistic abilities to create various designs in the carpet with his vacuum cleaner. It gives him joy in his job to have this kind of creative outlet. In turn, the school children experience joy when they come in to their classroom each morning to find a new carpet mural. Another example is my favorite salesman of The Contributor, Nashville’s publication that provides an opportunity for the homeless and formerly homeless to earn income. Shawn sells the paper at the corner of Music Row and the round-about. Every holiday he dresses up in costume while he sells newspapers to fund his housing and his own T-shirt company. One way I do this in my own company is by occasionally taking my clients out for a stand up paddle board lesson. It brings me joy both to be out on the water and to teach someone something new. It brings my clients joy because it gets them out of their normal routine, clears their mind, and exposes them to a potential new hobby. They always comment on how relaxing and fun it is. Get you noticed in a good way. Make a difference in the lives of the people you serve in your work. Indirectly impact the bottom line of the company in a positive way. All of these things make you a valued asset for both your current company and any other company you may be interested in working for, therefore likely resulting in a promotion, a pay raise, or a new job. Or, it could just simply brighten someone’s day. 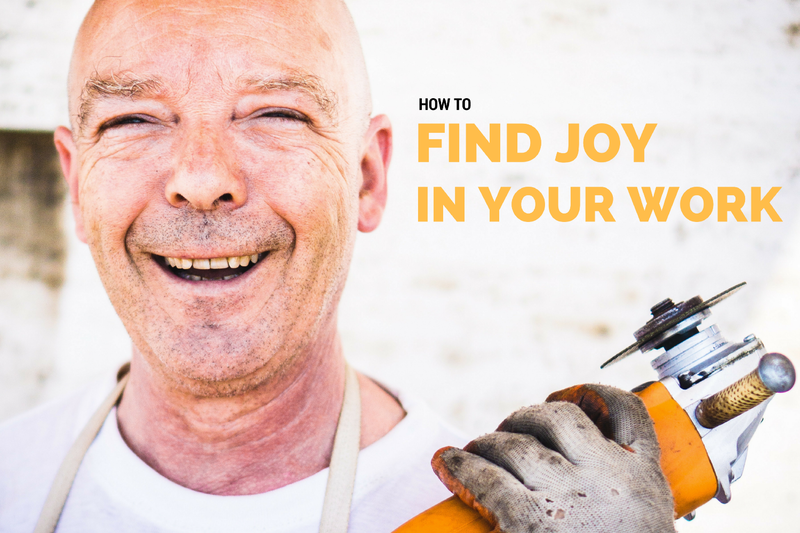 How Can You Find Joy? What’s a way you can (or already do) add your own thumbprint to make your work joyful? I REALLY LOVE stories like this and want to hear more so please, please, please share in the comment box below your own example or others’ examples you’ve witnessed. Check out the paNASH on-demand program Make More Money, Without Taking a Second Job. Originally published at www.yourpassioninlife.com on December 7, 2016.